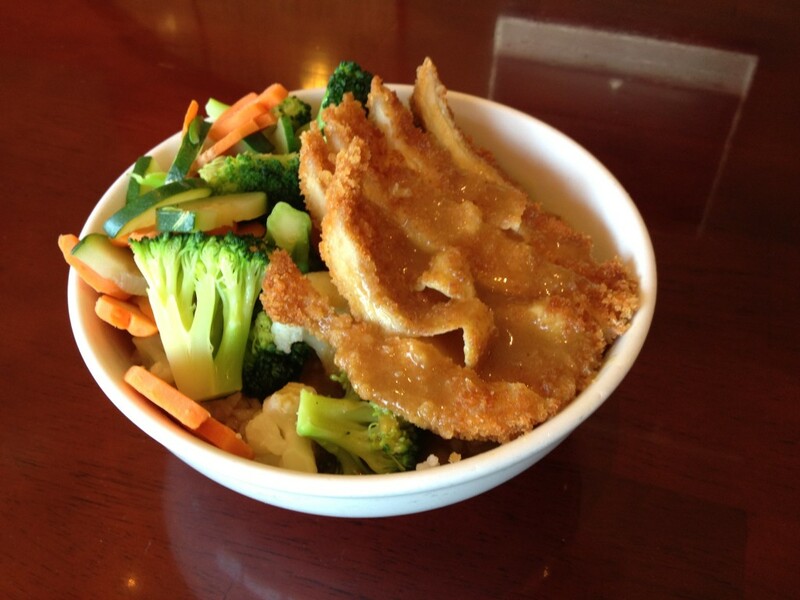 Rice bowls are served with steamed broccoli, cauliflower, zucchini and carrots and come with your choice of curry or teriyaki sauce. Panko-breaded fried shrimp served over rice. Comes with tartar and cocktail sauce.